Since we have gifts that differ according to the grace given to us, each of us is to exercise them accordingly: if prophecy, according to the proportion of his faith; if service, in his serving; or he who teaches, in his teaching; or he who exhorts, in his exhortation; he who gives, with liberality; he who rules, with diligence; he who shows mercy, with cheerfulness (Rom 12:6-8). We are continuing to look at the seven redemptive gifts mentioned in these verses: Prophet, Servant, Teacher, Exhorter, Giver, Ruler and Mercy. We receive those gifts at conception, and they affect the course of our lives. But there are other contributing factors that will also influence how the redemptive gifts are expressed in a person’s life. Every child’s parents have their own redemptive gifts, which impact how they view the world and how they raise their children. So the parents’ gifts will leave a very significant imprint on the children, independent of what the child’s own gifts are. Any potential character weaknesses of a parent’s gifting can shape the child as well. If a child’s parents are servant and exhorter, for example, the child may grow up in a home where the exhorter is financially irresponsible and is living in denial. The servant parent will try to help meet the child’s need, and the child may grow up lacking the knowledge needed to be financially responsible and a good steward of resources, which will be a particular problem if their own gifting is giver! On the positive side, a child who has the redemptive gift of prophet and is raised by an exhorter will most likely be much more relationally oriented than others with the gift of prophet. Firstborn children tend to be more driven and perfectionist by nature. Second-born can be competitive or very passive, and the baby of the family is often much more relational and horizontally focused. Being firstborn can intensify all the strengths and weaknesses of any gift (perhaps double the benefit, but also double the challenges). A person’s level of maturity will colour how they live out the characteristics of their redemptive gift at different times in their life. Those who are immature (or those who are not seeking to live in the fruit of the Spirit) will exhibit the weaknesses of their gifts more than the strengths. Whilst none of us has reached perfection, we should all be working on our character issues to grow up to maturity. The recognised weaknesses of our gifting are not an excuse for immature behaviour. It is easy to stereotype certain gifts such as prophet, ruler and teacher as being more masculine and servant and mercy more feminine, so that men often reject the idea of being a mercy or servant because they perceive it as being weak. In fact, the gifts of servant and mercy have some of the strongest spiritual authority. Women with the gifts of prophet and ruler often find it hard to be accepted, validated, and nurtured in a church setting, since the natural boldness and strength of their gifts can intimidate some men who traditionally occupy those roles. Both men and women need to see the beauty of God’s design, instead of trying to be something other than who God made them to be. Everyone has experienced painful situations and relationships that have left them wounded. Wounds can change our perception of ourselves and of God. For example, someone who grew up with an abusive authority figure may become very self-sufficient and independent because they believe they have to make it through life on their own. If they are an exhorter, servant or mercy gift, this will seriously conflict with how God designed them to function. How we are broken, the pain in our soul, our wrong response to pain, the coping mechanisms, and how we compensate for those wounds will influence how our gift is expressed. Any walls of self-protection we build as a way of surviving painful circumstances may hinder the proper expression of our gifting. Whether a person is right-brained or left-brained is an organic issue. Right-brained people tend to see the whole picture. They are generally more creative and emotional because emotional concepts and messages operate in the right half of the brain. Left-brained people see the various parts, process logically and in a linear fashion, and think more strategically. Some people have a fairly effective blend between the two sides of the brain and can transition between them with ease, whilst others may be dominated by one side or the other. Each of the gifts will be expressed differently, depending on whether the person is right-brained or left-brained. For example, a left-brained teacher will look different from a right-brained teacher. Left-brained teachers will enjoy spending hours researching in the lab or in the library, whereas right-brained teachers will flourish in the classroom and light up when their students “get it”. Prophet and ruler tend more toward being left-brained in their basic God-given essence and expression, whilst the servant and mercy gifts are more right-brained and therefore may tend to be more emotional and expressive through actions, rather than vocally. The family, community and time in history in which a person lives can have a radical impact on how they perceive themselves and express their gift. A woman with a gift of ruler who lives in a culture where women are subservient will likely have a large reservoir of untapped potential if she is not given an opportunity to shine. Your nation and family of origin also have an impact. Your family and your community or country have influenced you because of what they needed or what was expected. If you were raised in a nation with a redemptive gift of prophet (such as the United States or Germany), you will have a natural affinity for more of the characteristics of prophet, because it is what your culture affirms and cultivates. But this does not mean that your redemptive gift is prophet. In summary, then, we may not know a particular individual’s redemptive gift, but we can observe the external behavioural characteristics of the seven gifts. We can observe whether someone is quiet or verbally expressive, whether they prefer to work alone or to be in a group, or whether they are task-oriented or relational-oriented. But we need to bear in mind that we cannot always tell just from observation whether what we see is a true expression of their redemptive gift or is being affected by one or more of the influences we have mentioned. Here again are the links we gave last time, to questionnaires which can help you identify your own primary and secondary redemptive gifts. But before you jump into them, you might like to read what Arthur Burk thinks of tests such as these! [Please remember that all of these are only indicators which may give different results, and that those results may be skewed because of the ‘other factors’ we have looked at in this post]. 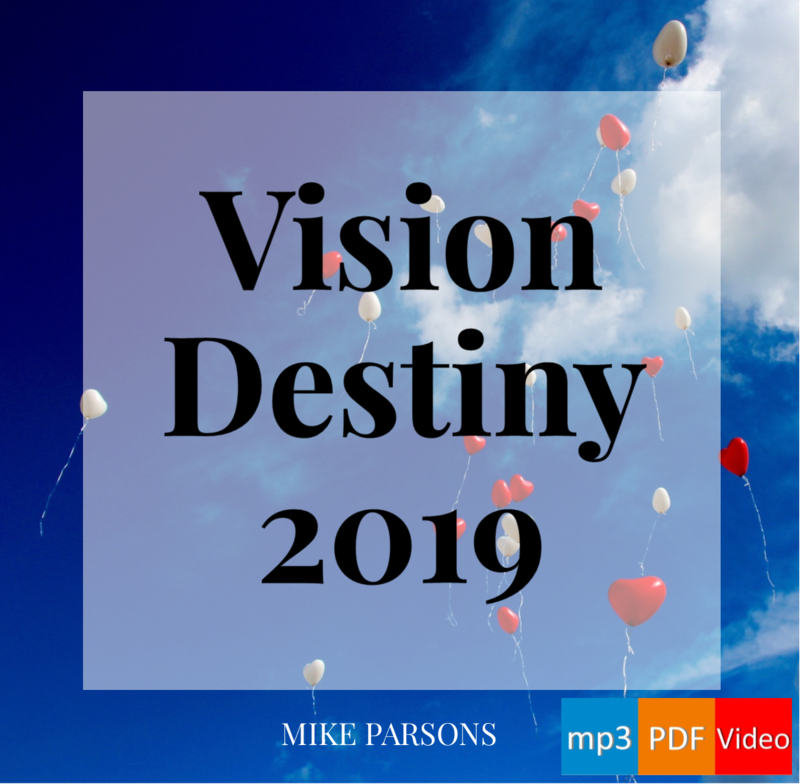 Destiny: Redemptive Gifts mp3 audio teaching series by Mike Parsons (this post has again been drawn from session 2).